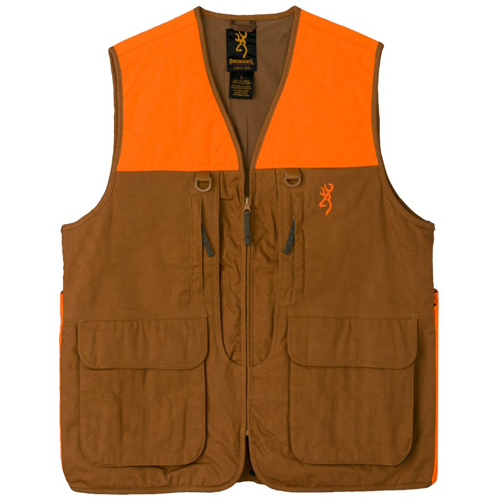 There are tons of great hunting vests currently available for sale on the market, but many hunters love and trust the Browning Pheasants Forever Vest to take care of them during their hunting exploits. Why is this so? 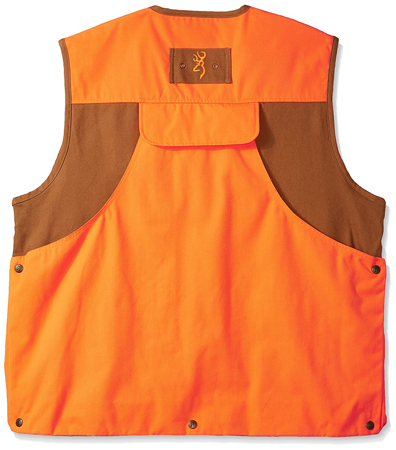 In this review of the Forever Vest, we shall introduce to you some of the key features of this vest that endear it to many hunters the world over. It is our hope that by the time you are done going through this review, you’d have obtained all the relevant information needed regarding this vest to decide for yourself whether it fits the bill or not. 1.9.1 Q. Who are the manufacturers of this vest? 1.9.2 Q. Where is the Forever Vest made? 1.9.3 Q. How much does the Forever Vest weigh? 1.9.4 Q. Does it come with a game bag? 1.9.5 Q. Is the game bag blood-proof? 1.9.6 Q. Do the pockets of the vest have shell loops that can be used to securely hold shells? 1.9.7 Q. Is the game bag zippered? 1.9.8 Q. What material is used in making the Forever Vest? 1.9.9 Q. Does the vest come with pads for the pad pocket in the shoulder patches? 1.9.10 Q. Is it easy to access the pockets of this vest? 1.9.11 Q. Is this vest great to be used during the winter? 1.9.12 Q. Does it come with a pocket specifically designed to carry a water bottle? 1.9.13 Q. Does the Forever Vest come with a warranty? The manufacturers of the Forever Vest didn’t compromise on durability at all in the manufacturing process. And for this reason, this excellent hunting vest has the ability to withstand a great deal of abuse. Made from 100% cotton canvas, this vest can last for many years, thereby saving you lots of money since you wouldn’t need to be frequently replacing it. Another relevant feature of this vest is its lightweight construction. Coming with a weight of only 12 oz., you are sure of not having to carry extra significant weight in addition to the one already loaded upon you by your other hunting gears. So when it comes to lightweight vest that is also very effective, then this vest is definitely worth considering. This Forever vest comes with outstanding detachable blood-proof game bag which is roomy enough to carry your kills. Unlike some of its counterparts on the market, these bags also boast of zips to keep your game safe in the field. In addition to the blood-proof game bags, the vest also comes with a number of other pockets, including two zippered front pockets in which you can place some of your simple hunting tools such as your flashlight and drinking bottles. Another pretty cool feature of the Forever Vest worth mentioning is D-rings that it comes with. This feature is not only one of the features that separate the vest from many others out there, but it is also one of its very useful attributes. These D-rings are specifically designed to be used as lashing points to attach a number of things, including dog training accessories. The Forever Vest comes complete with one of its most outstanding features the REACTAR G2 pad pockets located behind the shoulder patches. Why are these pockets important? They are very important because they are designed specially to soften the recoil force produced by your firearms, thereby making shooting for long periods of time very comfortable. However, it is worth noting that the pads are sold separately. The Forever Vest is durable yet light. It fits perfectly over your t-shirt during warm weather and your jacket during cold weather. The vest comes with plenty of storage places to carry things such as shells, birds, etc. It comes with D-rings to carry accessories for training dogs. It is fitted with a zippered blood proof game. It features a zipper front and 2 front pockets that are zippered. All the pockets of this vest are easily accessible. Being a regular fit vest, on an average body, the vest fits very well without being tight or snug or oversized. With all the awesome features that accompany the Forever Vest, it comes at a good price. Browning Arms Company supports this vest with a warranty. Unfortunately, the pads for the REACTAR G2 pad pocket for the shoulder patches need to be bought separately. Q. Who are the manufacturers of this vest? A. It is manufactured by the Browning Arms Company headquartered in Morgan, Utah, United States. The company has been in business since 1878. Q. Where is the Forever Vest made? A. It is made in Vietnam and distributed in the U.S.A.
Q. How much does the Forever Vest weigh? A. It weighs approximately 12 oz. Q. Does it come with a game bag? A. Yes, it comes with one. Q. Is the game bag blood-proof? Q. Do the pockets of the vest have shell loops that can be used to securely hold shells? A. Yes, they come with elastic shell loops/holders. Q. Is the game bag zippered? A. Yes, it comes with a zip. Q. What material is used in making the Forever Vest? A. The vest is made of 100% cotton canvas. Q. Does the vest come with pads for the pad pocket in the shoulder patches? A. Unfortunately, the pads must be bought separately. Q. Is it easy to access the pockets of this vest? A. Unlike some other vests on the market, the Forever Vest comes with pockets that are very easy to access. Q. Is this vest great to be used during the winter? A. Being thick and pretty warm, it is great for hunting during winter. Q. Does it come with a pocket specifically designed to carry a water bottle? A. No, it doesn’t come fitted with a water bottle pocket. Q. Does the Forever Vest come with a warranty? A. Yes, it does. The manufacturers of the vest warranty it against any defect in the material as well as the workmanship. From the many useful features that the Forever Vest comes with, we can safely conclude that this hunting outfit not only stands out tall among other similar hunting vests available for purchase, but it is also one that has the ability to take your hunting to the next level. So all in all we think that any serious hunter who wants to really enhance their comfort, safety and increase their chances of enjoying a successful time in the field would have not wasted their time considering investing in this very effective vest. It is also worth noting that every Browning Pheasants Forever product that you buy, the company makes a contribution to the famous non-profit conservation organization Pheasants Forever, Inc.